Case Deal. Buy 3 Magnums for £145.00 each. Save £15.00 !! The mouth is frank, delicate and complex, offering mineral notes, aromas of green apple, citrus fruits, fresh pineapple, combined with fl oral notes and summer honey. 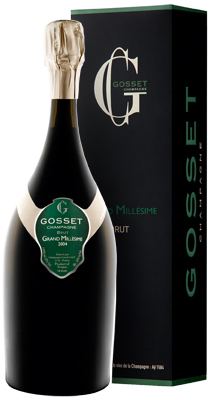 A champagne that offers finesse, complexity and precision. Can be enjoyed as an aperitif or all over the meal. It’s an ideal pairing with sea or freshwater fish (John Dory, sea-bream, pickeperch etc.) and small game birds or white meat. Fresh or slightly matured goat’s cheese is also an ideal accompaniment with this vintage.